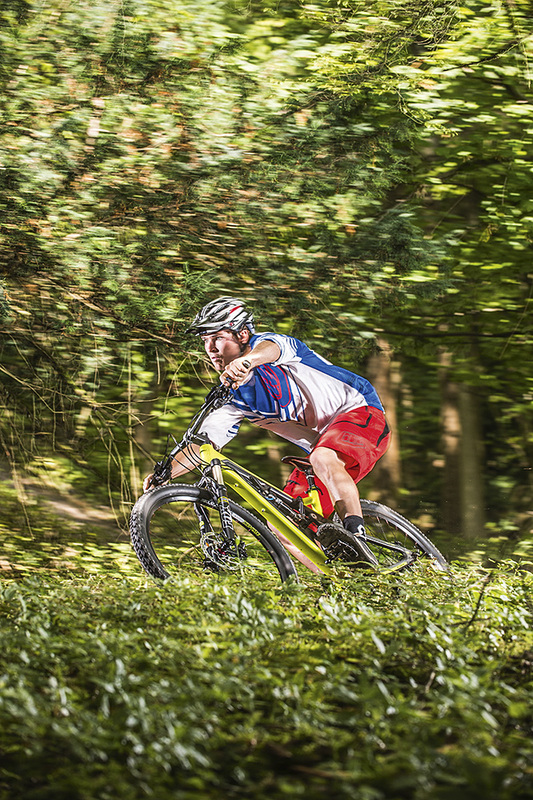 Let’s face it, there’s never a bad time to buy a new mountain bike. It’s the sport, hobby and distraction that we all love, so it’s never hard to convince yourself that you really need a shiny new ride, especially when it promises to make riding easier or more enjoyable. For the savvy shopper, however, this time of year is arguably the best time to shop for a new bike. That’s because even though we’re only three-quarters of the way through 2014, the race to be first means that next year’s bikes are already on their way. And all of those new bikes have to go somewhere, so distributors, dealers and online retailers discount their current stock to create space for the new arrivals. There are great bargains to be had if you’re prepared to look… or let us sniff them out for you! Truth be told, many of those ‘new’ bikes won’t even be that different to the current models, except for maybe new colours or a small component change. So for this month’s bike test we’ve picked what we consider to be three of the best end-of-season deals of 2014. First up, we have the Specialized Camber, reduced from £1,500 to £1,300. It’s not a massive saving but it’s a bike with a proven track record so we know it’s one of the best short-travel 29ers currently in production. It’s also available in all Specialized retailers. Next in line is the Saracen Kili Flyer 122. This 120mm-travel 650b trail bike originally cost £2,599 but wheelies is discounting it to the tune of 31 per cent, making it an absolute bargain at £1,799. Rounding out our discounted trio is the Norco Sight Alloy 7 1.5, where the price has been slashed from £2,500 to £2,125. Norco bikes are available exclusively through Evans Cycles and the 140mm-travel Sight gets Gravity Tune geometry and a much-coveted RockShox Reverb dropper post. Obviously there are other great deals to be had, especially if the bike is a one-off that’s been shop soiled. But there wouldn’t be much point in us testing those bikes because they probably won’t hang around on the shop floor long enough for this magazine to hit the shelf. So the three bikes we’ve picked are all available in multiple sizes with good availability, meaning you shouldn’t have any issues sourcing one. With three bikes at different price points, with different amounts of travel and even differing wheel sizes, this is hardly a typical mbr head-to-head test. Nevertheless, we fitted Maxxis control tyres and hit our favourite trails in the Surrey Hills and Forest of Dean. In essence, though, we weren’t testing the bikes against each other, but against the best bikes of each type that we’ve ridden in 2014. In mountain biking, as in life, you pretty much get what you pay for. So it would be easy to assume that the Saracen Kili Flyer 122 was always going to win this test: it was, after all, the most expensive bike to begin with; with the sweetener of the biggest discount to boot. To assume such a simplistic argument, however, would be to do Saracen a disservice, because the Kili Flyer 122 is a genuinely good 120mm trail bike. It has the ride quality to inspire confidence in every situation, and in addition to racking up countless miles on it, we hit everything from jump trails to knackered, gnarly old DH tracks — and not once did it feel sketchy or out of control, even though we were pushing the Kili Flyer well beyond its design remit. Big grins and cocky exuberance pretty much sum it up. OK, compromises in specification were clearly required to get a carbon back-end on a £2.5k bike, so the Kili would probably have struggled to win a proper bike test shootout at its original price. If you can pick it up for a discounted price of £1,799 from Wheelies, however, it’s a different story, even if we’d have preferred it to come with a beefier fork, better chainset and kneepads as standard. The biggest surprise of the test was the basic Specialized Camber. Given its weight and budget spec, we genuinely thought it could be a bit of a dog to ride. As it turned out, we had some of the best days’ riding ever while putting it through its paces for this end-of-season test. So much so, that if Specialized had given it a more generous discount, the pecking order between the Kili Flyer and the Camber could easily have been reversed. To be fair to Norco, the 140mm-travel Sight Alloy 7 1.5 had the toughest battle on its hands. The more suspension a bike has, the harder it can bomb the descents — and this immediately highlights any weakness. In this instance it was the spindly 32mm stanchion Fox fork that simply couldn’t keep up with the rest of the package. So that concludes our last 2014 model year bike test. Next month we’ll present our Bike of the Year award where we’ll be re-riding all of our top-rated bikes of 2014 before bestowing mbr’s most prestigious accolade. 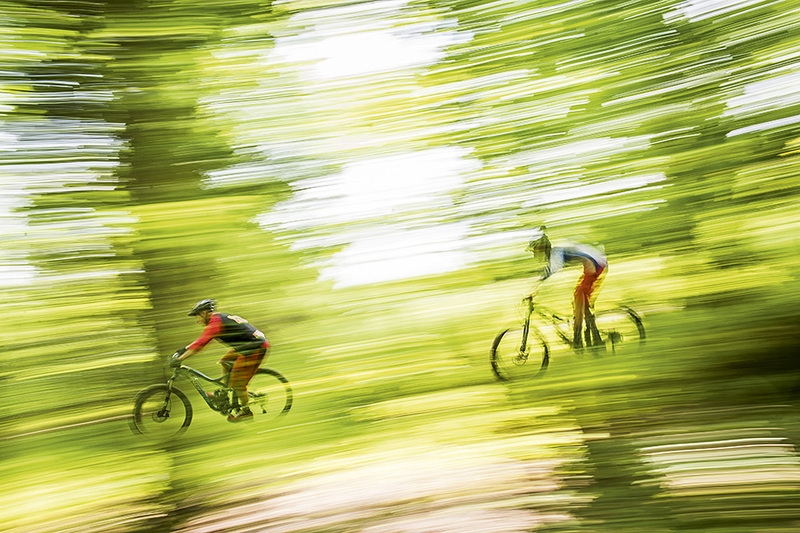 Tune in to find out which bikes made the cut and — more importantly — which one comes out on top. Getting a bike that fits is the most important thing. Don’t buy anything that’s too big or too small, no matter how attractive the discount. Futureproof your ride, at least for a couple of years, by buying a bike with 650b or 29er wheels. Just because it’s discounted, that doesn’t mean it’s a bargain. Cross-reference the specification with the latest models to make sure it stacks up. New deals come up almost daily so check the usual websites regularly. Don’t be afraid to haggle with your local dealer — they’ll be only too aware of the discounts available on the web.